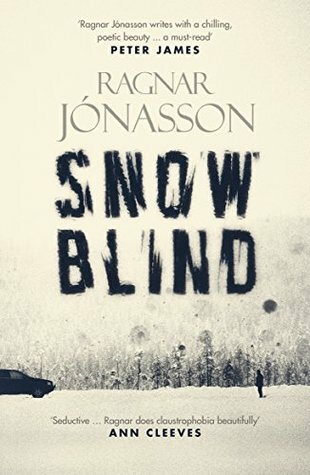 Snowblind by Ragnar Jónasson, Translated by Quentin Bates. Siglufjörður: an idyllically quiet fishing village in Northern Iceland, where no one locks their doors – accessible only via a small mountain tunnel. Ari Thór Arason: a rookie policeman on his first posting, far from his girlfriend in Reykjavik – with a past that he’s unable to leave behind. When a young woman is found lying half-naked in the snow, bleeding and unconscious, and a highly esteemed, elderly writer falls to his death in the local theatre, Ari is dragged straight into the heart of a community where he can trust no one, and secrets and lies are a way of life. An avalanche and unremitting snowstorms close the mountain pass, and the 24-hour darkness threatens to push Ari over the edge, as curtains begin to twitch, and his investigation becomes increasingly complex, chilling and personal. Past plays tag with the present and the claustrophobic tension mounts, while Ari is thrust ever deeper into his own darkness – blinded by snow, and with a killer on the loose. Taut and terrifying, Snowblind is a startling debut from an extraordinary new talent, taking Nordic Noir to soaring new heights. ‘Is King Arnaldur looking to his laurels? 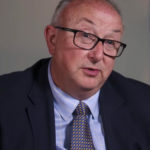 There is a young pretender beavering away, his eye on the crown: Ragnar Jónasson’ Barry Forshaw My Thoughts: I read this while still struggling with my reading mojo but was starting to get it back again and this was yet another great book to have picked up. If you like cold and claustrophobic settings as I do, then this might just be the book for you. Jónasson does a wonderful job with placing you right there in the small snowed in town, so even if you read this while sitting in the sun you will feel the chill of the book seep through you. Ari Thór is not your usual know-it-all detective, but a young, just out of school uniform cop that turns up in a small town and wants to do his best. You feel his nerves and his unsettledness at his new surroundings. I liked that it was done this way, it gave the genre a different feel. Ari Thór may even have had natural instincts about some of the things he saw but he was in a small town, new on the job and had to answer to his boss who had been doing the job a lot longer. Ari Thór also foolishly gets a bit tangled personally in what is happening, but you can’t blame him because he feels so isolated and new. And along with all the crime is the constant falling snow. It’s incessant. This is a great read and I’m definitely interested to see where Ari Thór goes next. With thanks to the author and publisher for my copy of the book. 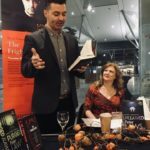 You can read Ragnar’s First Draft process Q&A Here. Fabulous review. I was thinking of reading it but will definitely do so now. I’ve been hearing some great things about this one, Rebecca. And I’m very glad you enjoyed it. The setting certainly seems like a great backdrop to the story, too. I’ll have to see about adding this one to the wish list. I think it’s a book you’d enjoy Margot. I’d love to hear what you think of it if you do end up reading it. Great review. I also loved this book. This is just the sort of book I like to read in our hot summers. A little crime solving, a little ice and snow – perfect!! I’ve read a few books set in the freezing parts of the planet. I love reading how natives describe the climate. They have so many ways I’d never think of. Thanks for sharing this. I also love the M J McGrath series set in the Arctic. Well, I’ve only read the one, but I intend to read the rest. Sounds just the book for me to read. Great review.